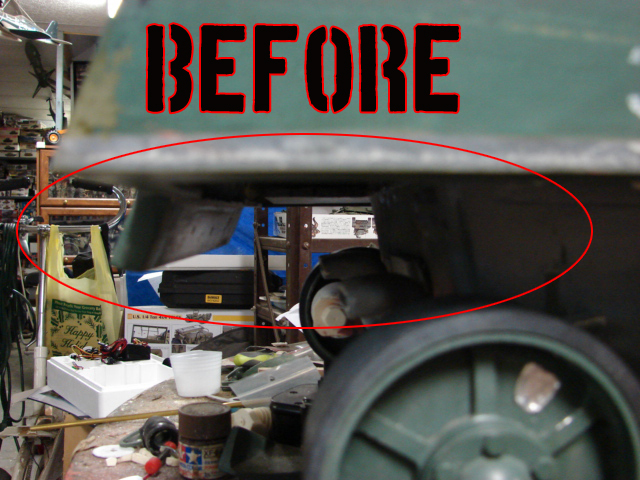 M5 Stuart 3D printed headlight brush guard set. 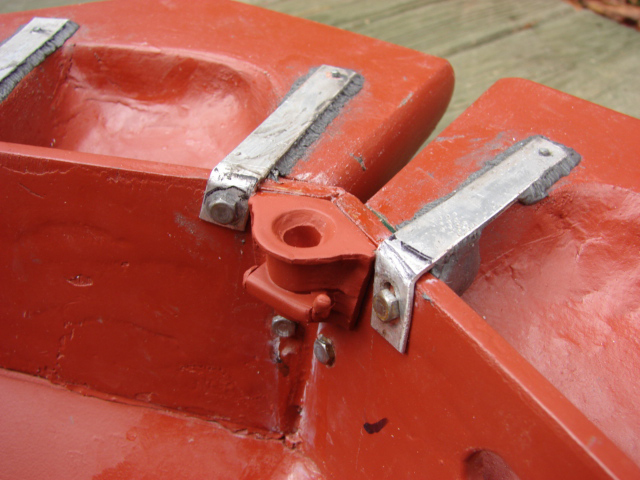 Set comes with a right and left hand side brush guard, metal connecting strip, mounting boss and two sets of fasteners. Set is available in two medias, standard and HD. 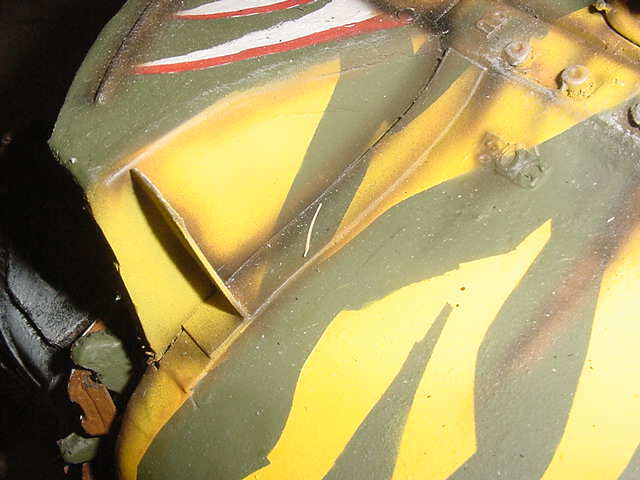 Resin early Sherman M34 mantlet complete set. 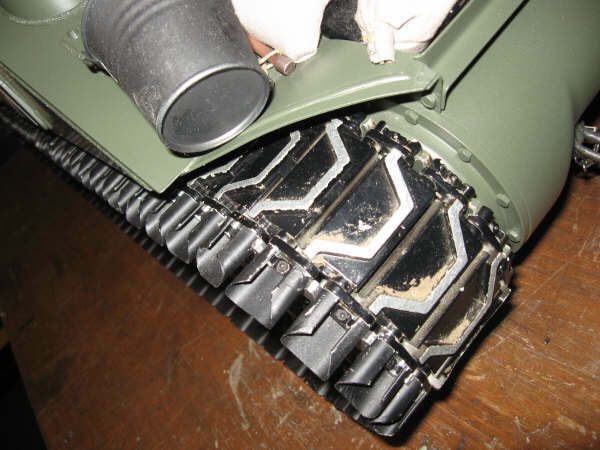 This version of the M34 has the integral lift rings on the rotor drum, and the mantlet has the barrel armored collars. 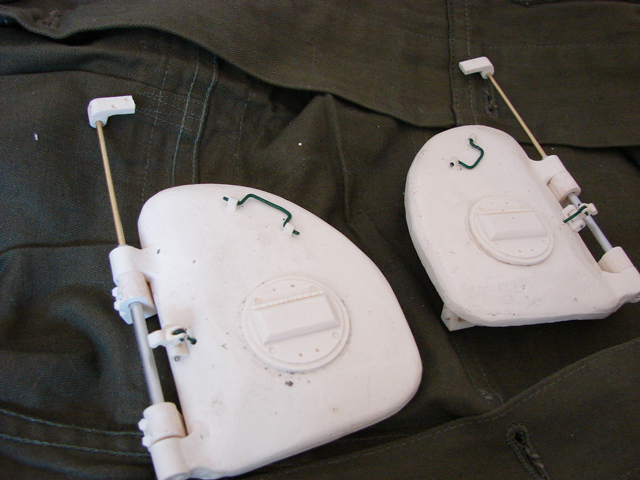 Set is designed for use on the armortek shermans, but can also be fitted to other 1/6th scale Sherman kits. Set includes rotor drum, skinny mantlet. M1919 barrel Not Included.... $150.00 each set. 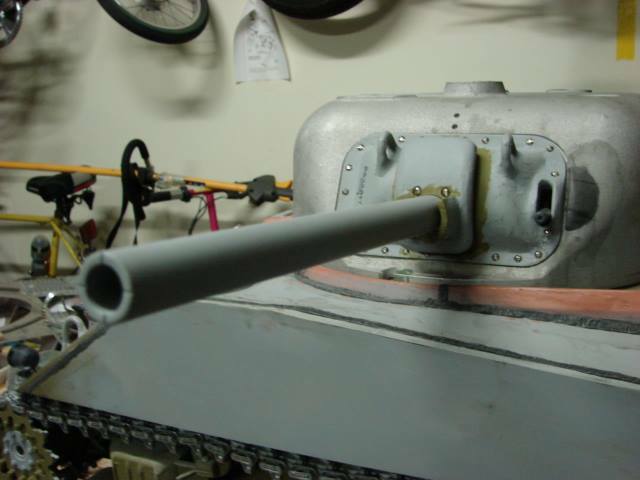 *Note This same mantlet is included with the FOA T23 conversion set and is not required if you are using that turret for your 76mm conversion. Resin 2nd generation sherman tank split ring copula kit. 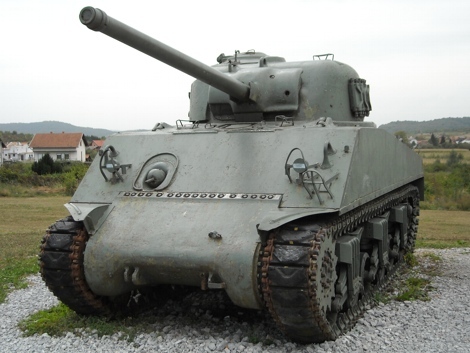 This copula is present on the Mid / late production M4A3 sherman tank (Dragon M4A3). This version differs from the other earlier split ring copula in that this version has the redeisnged counter weight springs. Copula is designed to replace the underscale and underdetailed stock dragon split ring copula, No mods are needed for the turret and is drop in instalation. Copula can also rotoate 360 degrees when placed onto the Dragon turret. 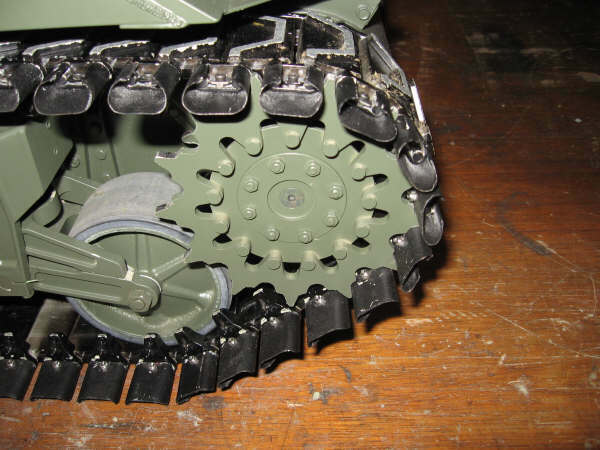 Resin M3 Halftrack Front drive sprocket set. Set includes enough componantes to assemble two drive sprockets...60.00 each set. Metal early sherman fixed elevated M2HB Barrel travel lock. This travel lock is foun on early period Sherman tank split hatch copulas...$12.50 each. 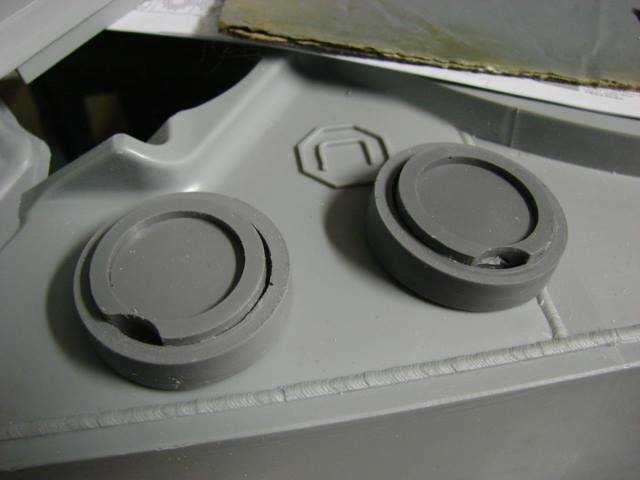 Resin early Sherman M34 mantlet set style 1. 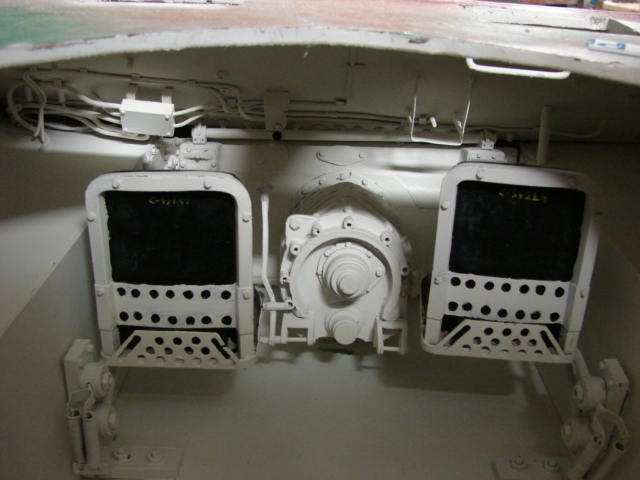 This version of theM34 has the integral lift rings on the rotor drum, and the mantlet has the barrel armored collars. 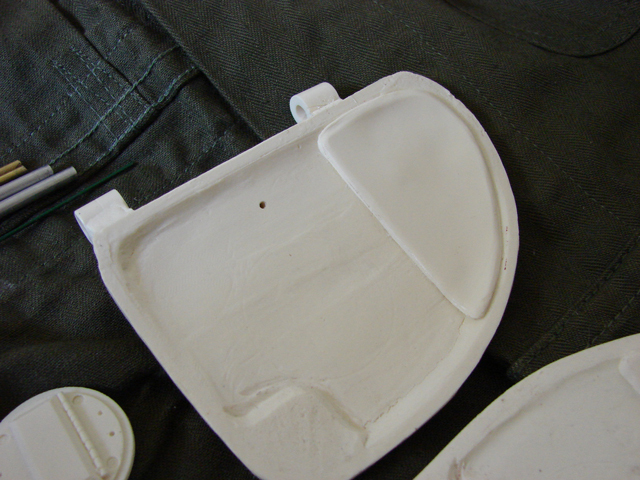 Set is designed for use on the armortek shermans, but can also be fitted to other 1/6th scale Sherman kits. Set includes rotor drum, skinny mantlet, and 75mm barrel tip. M1919 and 75mm barrels not included... $50.00 each set. 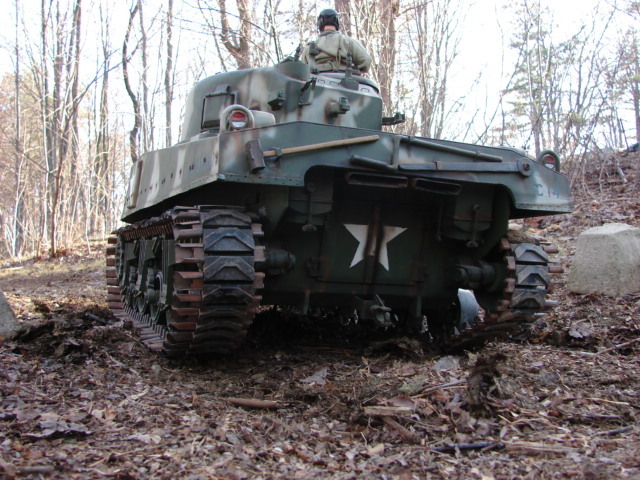 M5 Stuart complete resin suspension and lower hull component upgrade package. Package includes the following components, 4 Boogie top detail inserts, Bogie skid rails, 2 lower hull cleats, 2 lower hull planer access hatches, 2 lower plainer access caps, and the idler mount detail Set.....$70.00 each package. 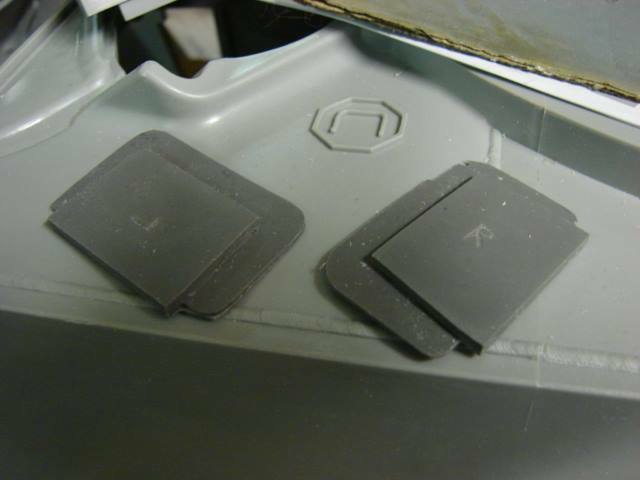 Resin Dragon Sherman road wheel rear insert set. 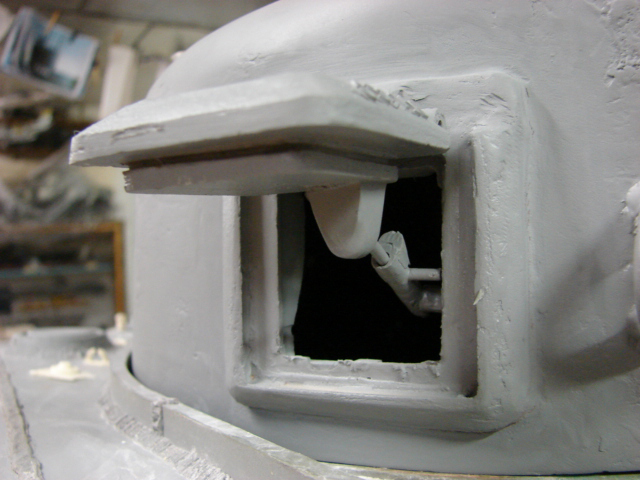 Set is designed to plug up the large hollow hole that is present on the rear portion of the Dragon Sherman tank wheel. 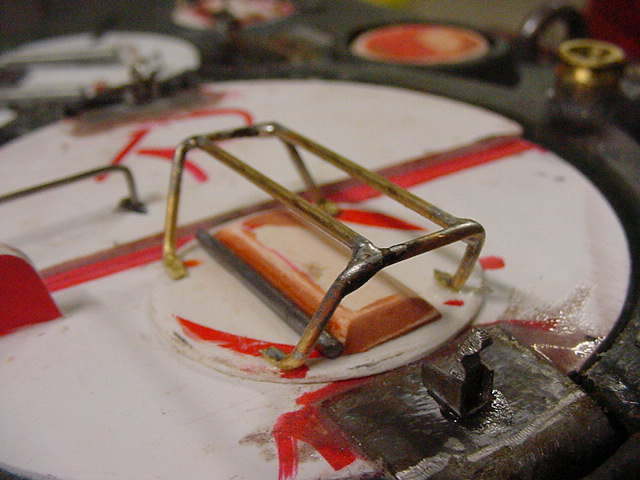 The inserts also include improved detailing over the kit face details and once mounted can be mounted to the tank with the resin faces outward towards the viewer. The set includes 12 resin insert along with enough grease fittings to equip both the resin inserts and the plastic dragon wheels...$60.00 each set. 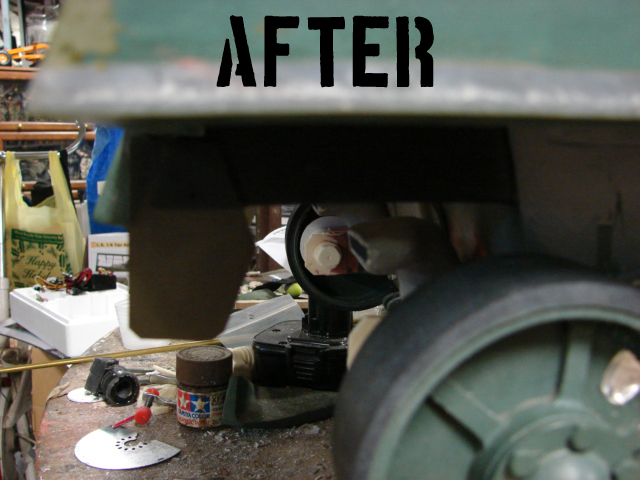 Armortek Sherman resin VVSS suspension upgrade set. 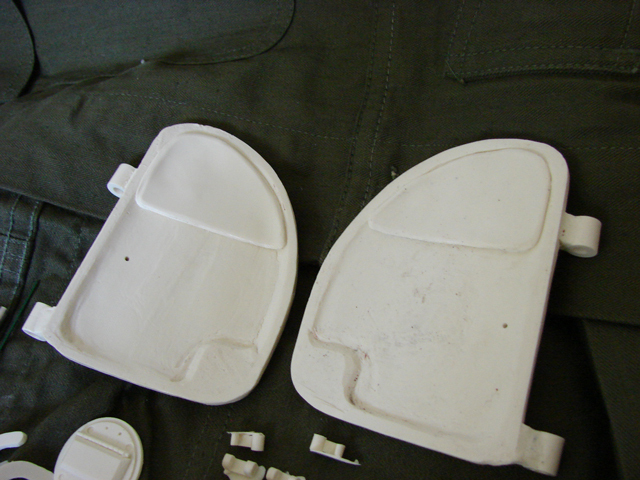 Set is designed for the armortek sherman tanks (M4A4 firefly, Early M4A3) VVSS suspension. Set includes 12 detail wheel inserts and 6 return roller fastner nubs...$50.00 each set. 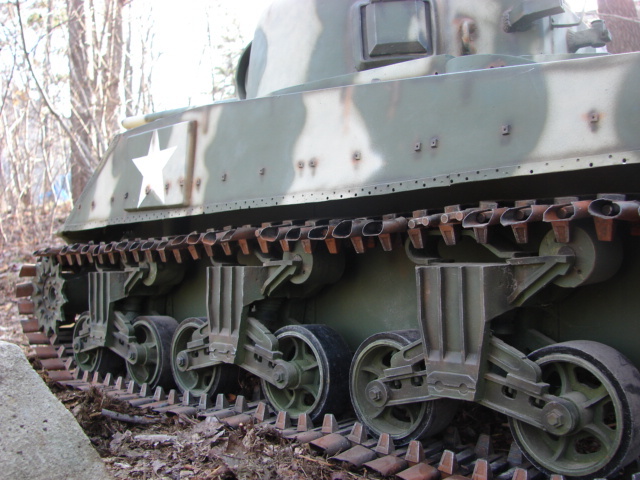 Metal early war style Sherman rear fenders set. 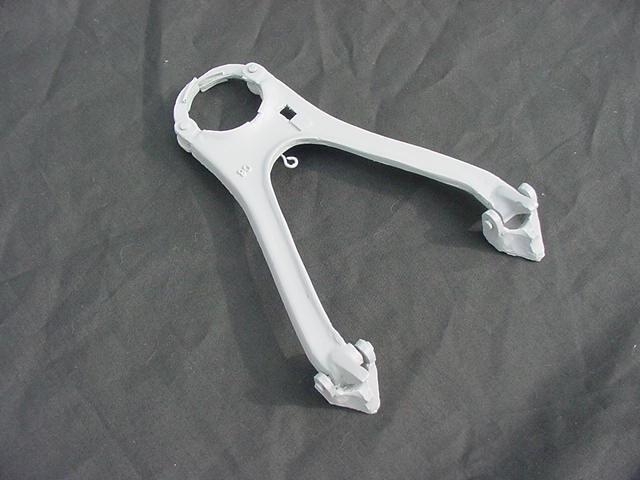 Set includes a left hand, right hand rear fender, and fasteners. Set is deisgned for early war period sherman tanks. 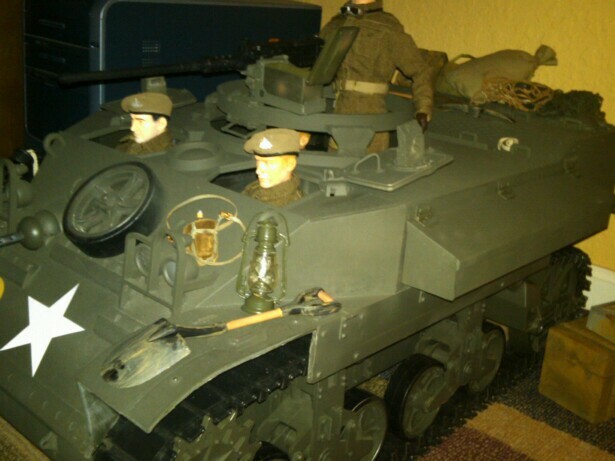 Set will work on M4, M4A2, and M4A4 sherman tanks...$30.00 each set. 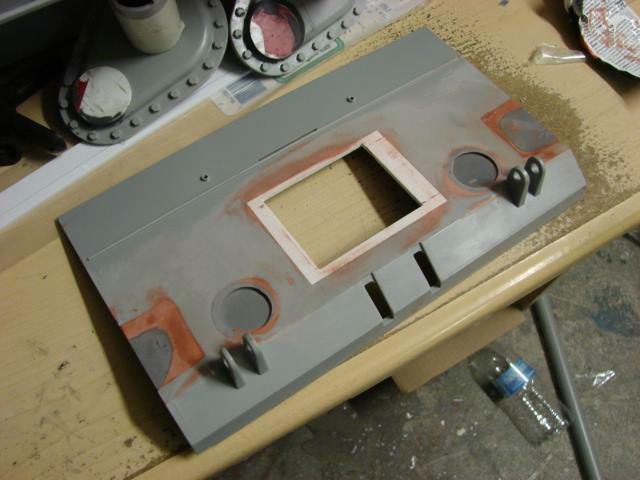 Resin M4A4 Sherman tank under hull engine access panel set. Set includes three engine access panels, one radiator fan bulge cover, one small round cover and hex head fasteners for mounting. 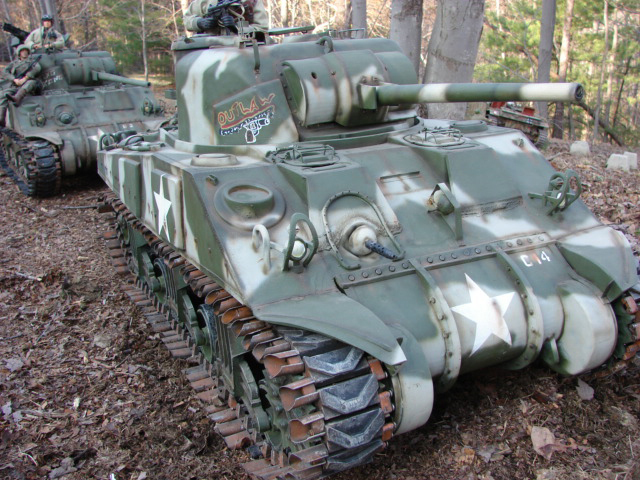 Set is intended for M4A4 Sherman tanks and M4A4 derived Sherman tank variants (VC Firefly, M4A6, M3A4 Lee) only. Set is NOT for use on other Sherman tank variants (M4, M4A1, M4A2, and M4A3)...$30.00 each set. 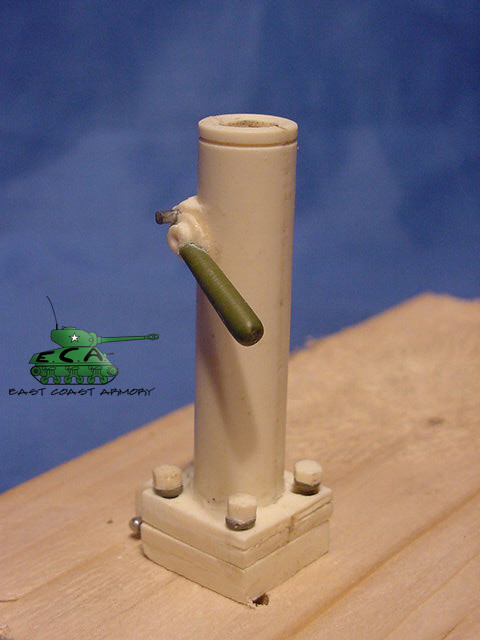 Turned PVC M1 76mm gun barrel. This drop in replacement replaces the short barrel 75mm gun barrel with the longer 76mm. 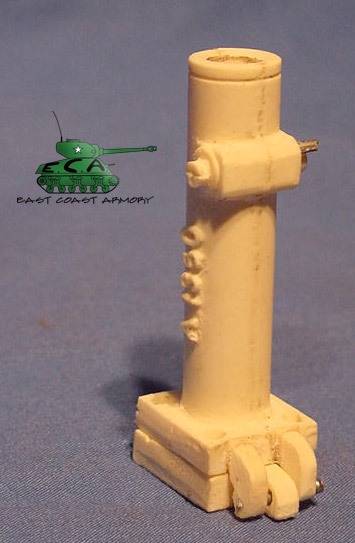 This gun barrel is also used on any of the 76mm T23 Turrets. 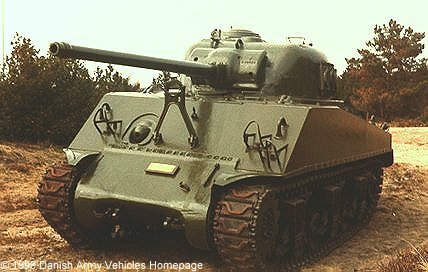 This gun can be used on the M4A3 (76), M4A1 (76), M4A3E2 (76) Jumbo, M4A3E4 Sherman tank, T23 medium tank. 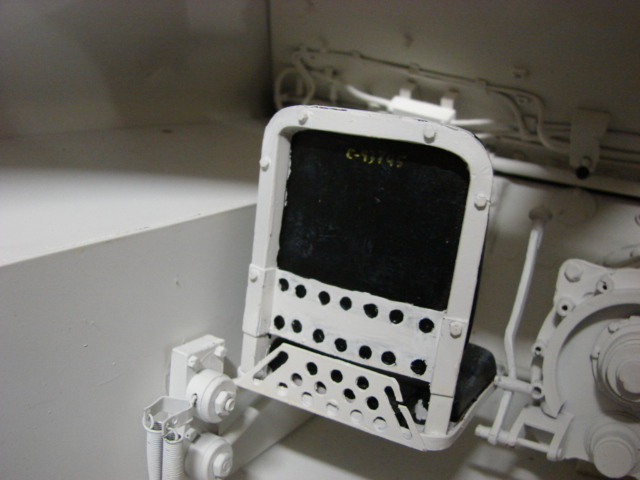 Resin Dragon M4A3 split hatch copula detail upgrade set. 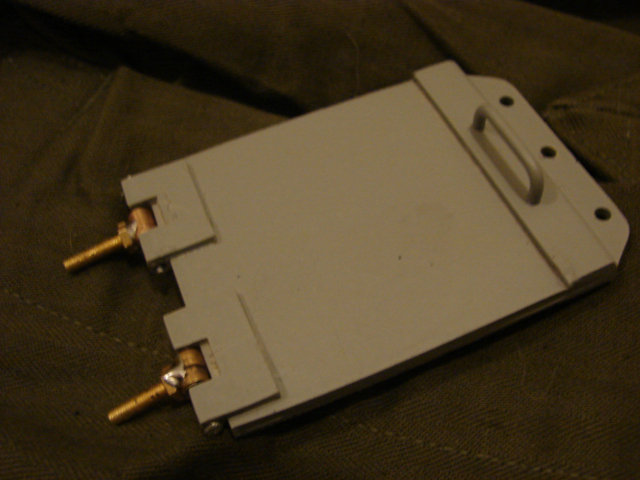 Set includes one split hatch 50.cal pintle mount, and one replacement 50.cal retracting travle lock...$16.00 each. 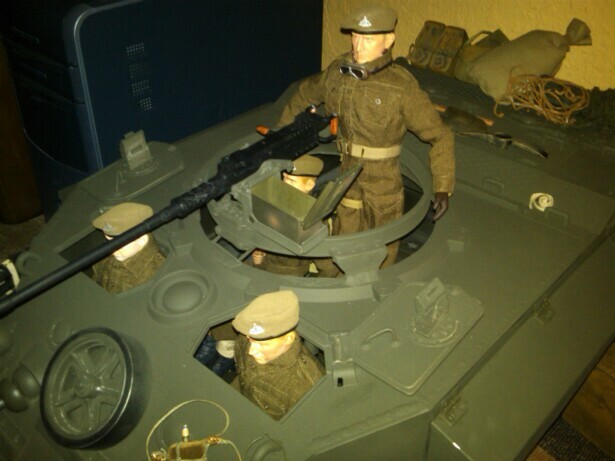 Early production M4 105mm conversion kit. 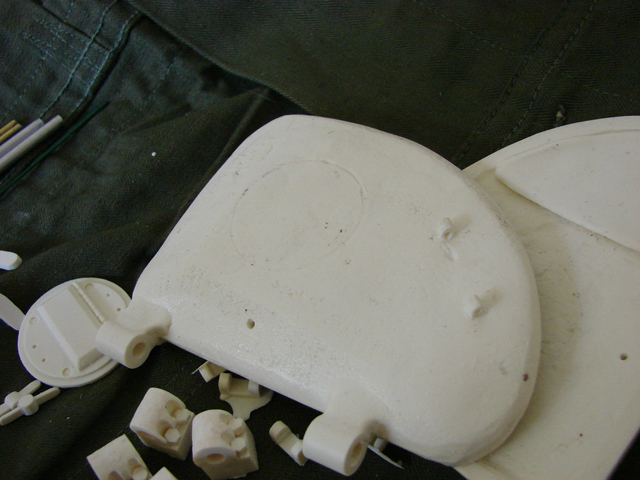 Kit is designed as a drop in replacement of the Sherman's 75mm gun assembly. 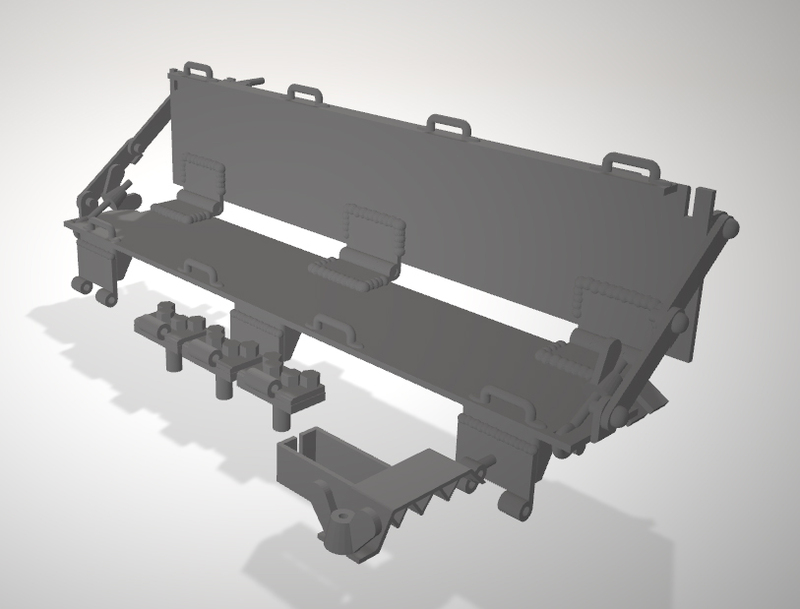 Kit contains all components to make the early production M4 105 with the early split hatch copula. Early split hatch copula is not Included. 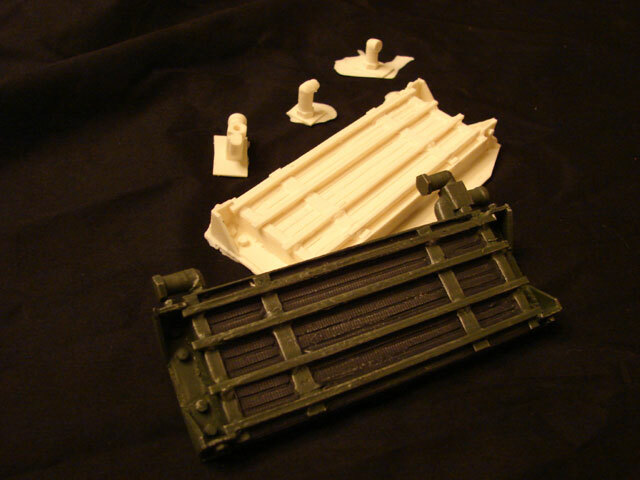 New tooling M4A3 metal engine hatch air duct set. Set includes two sheet metal ducts...$20.00 each set. 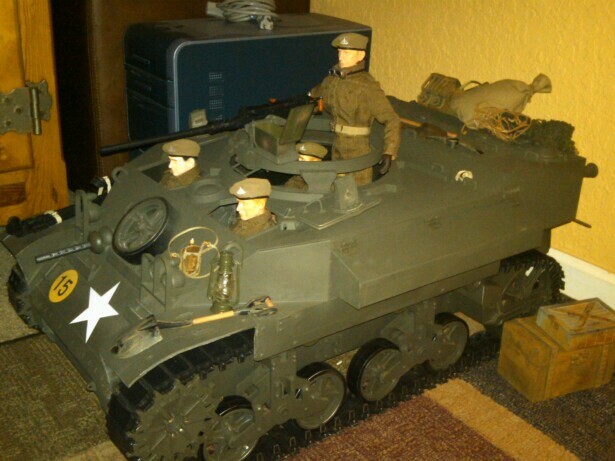 M4 Sherman armored air blower complete set. Set includes the center detail plug and the outer armored ring...$9.50 each set. 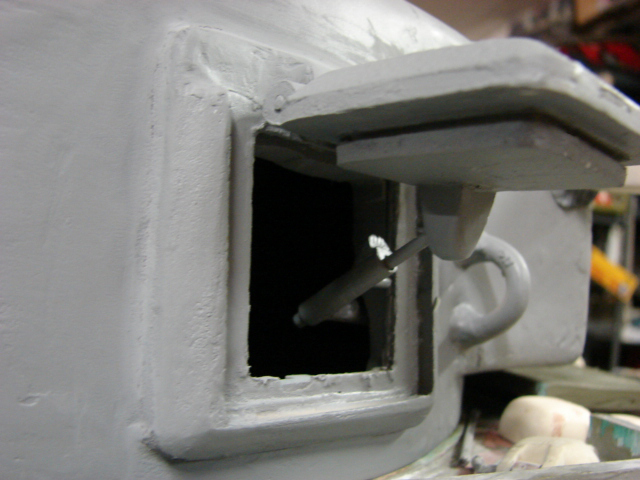 M4 Sherman armored air blower center detail plug. 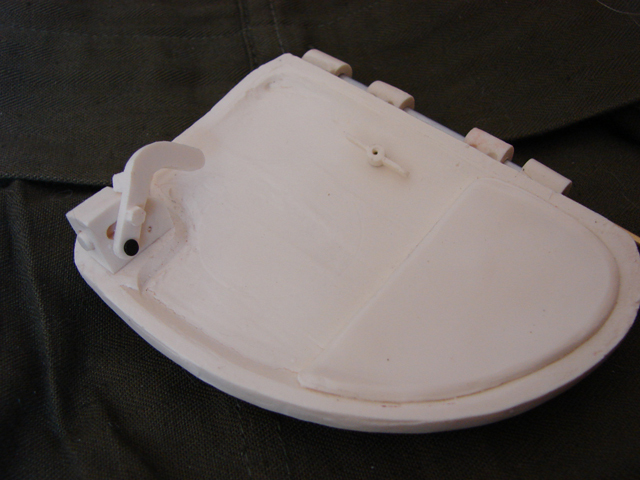 Plug is designed to replace the center air blower plug that is present on the kit supplied turret or early hull...$5.50 each. 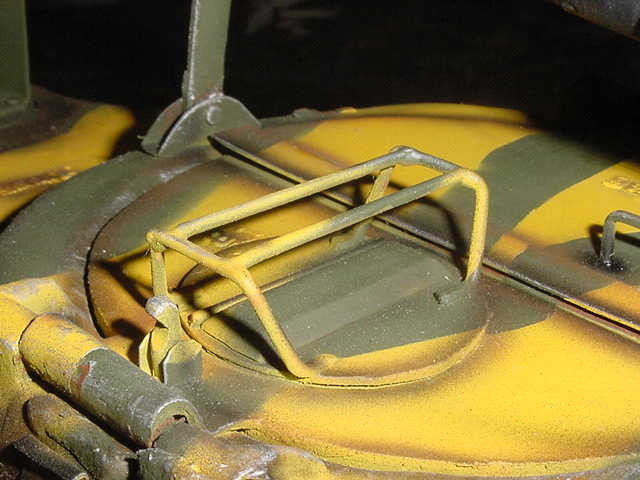 M4 sherman 75mm turret lift hooks set. Set includes three turret lift hooks. This set is designed for the 75mm and 105mm turrets...$5.50 each set. 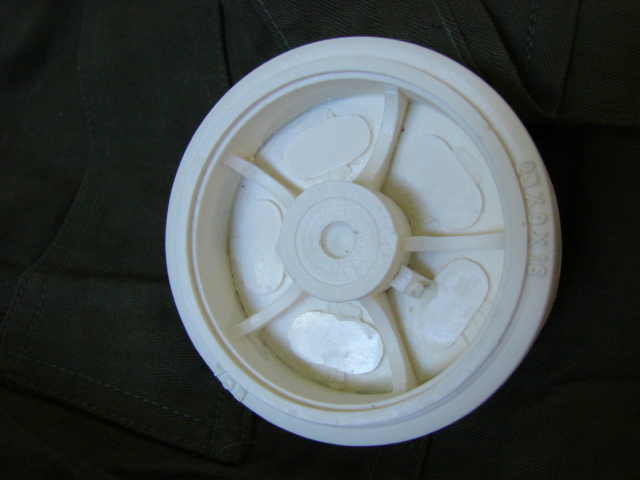 Resin M4 Sherman Mid production / late production stamped rear idler wheel set. Set includes two idler wheels and two hub caps...$45.00 eack set. 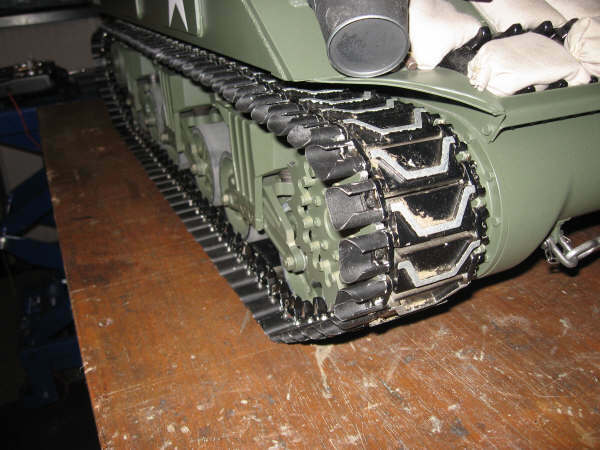 Resin M4 Sherman reversable plated over spoke road wheel. This version has oval plates welded over the spoke holes on one side and square plates welded over the spoke holes on the reverse side...$15.00 each. 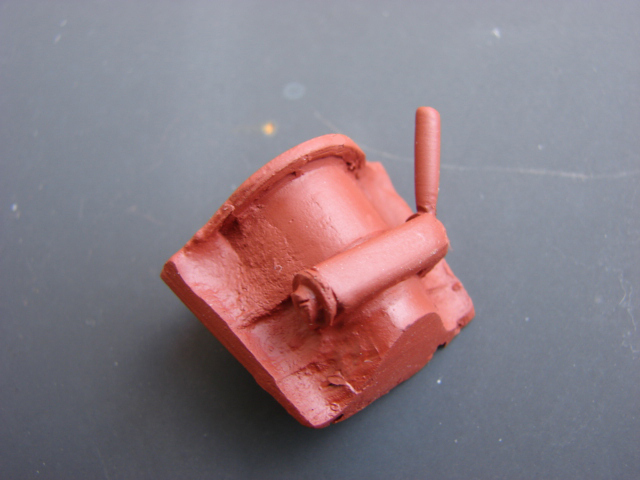 Resin M4 sherman spoke wheel version 2...$15.00 each. 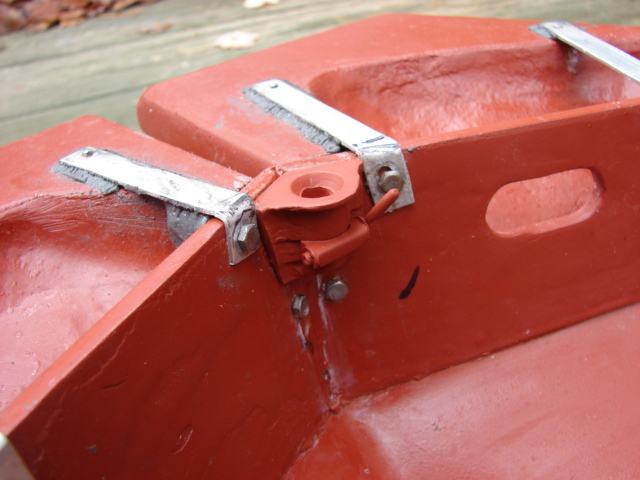 Hard resin side hull extenders...$450.00 each set. 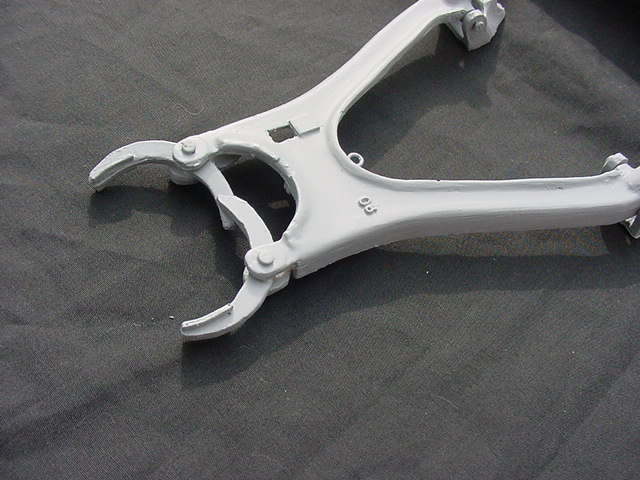 Flexible resin side hull extenders...$456.00 each set. 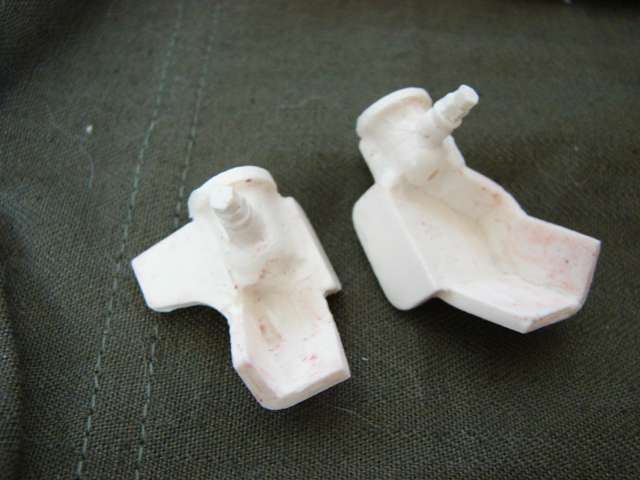 Hard resin side hull extenders...$19.00 each set. 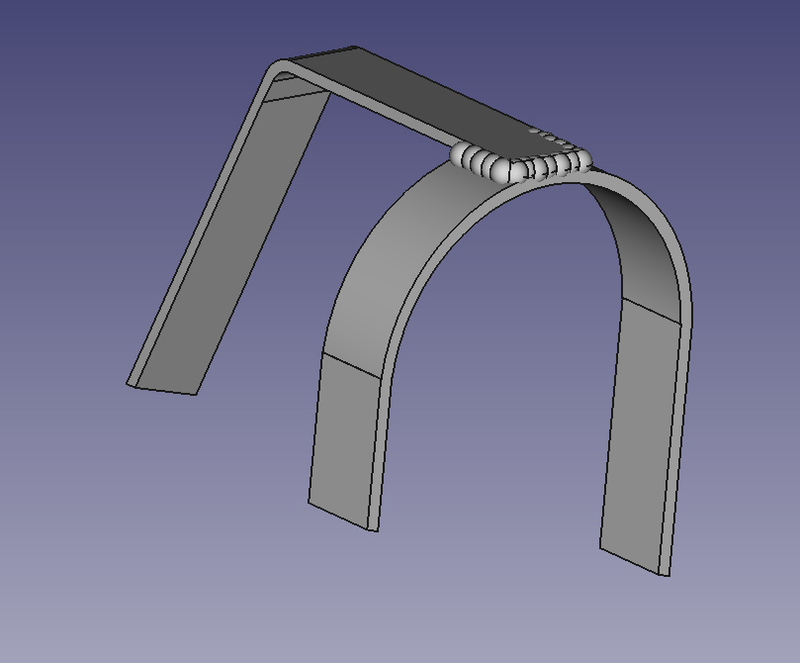 Flexible resin side hull extenders...$25.00 each set. 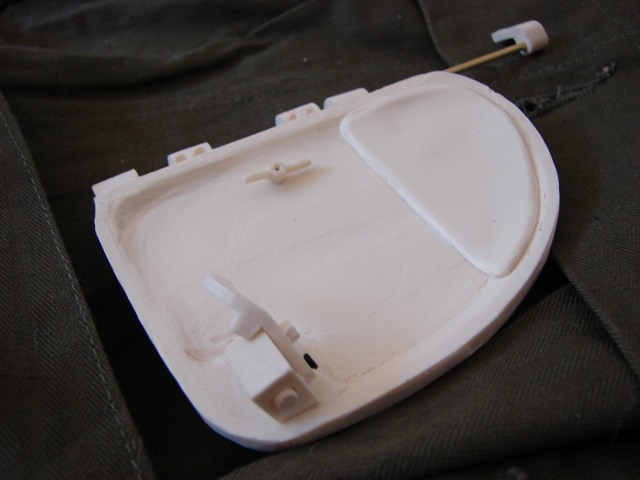 Resin M4A3 Sherman tank rear engine hatch kit. 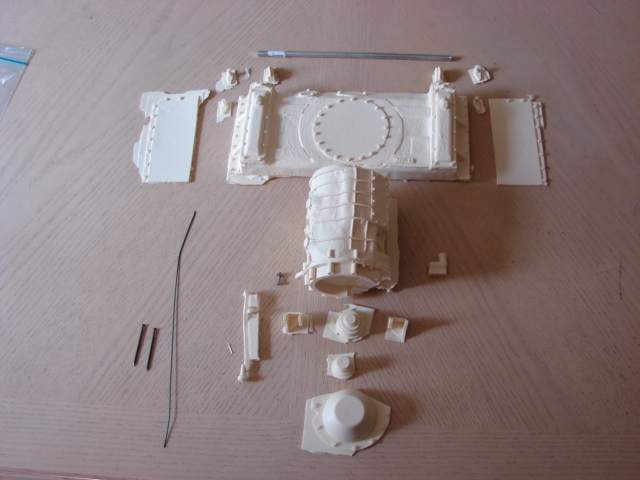 Kit includes enough components to assemble one hatch. 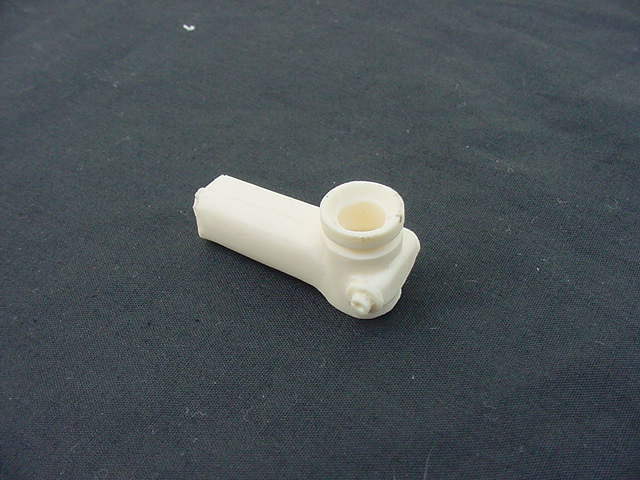 This component is for any GAA equipped M4 Sherman tank or Sherman derivative (M36, M4A3, M4A3E2 Jumbo...)...$16.00 each. Resin M2HB symetrical five hole barrel support conversion. 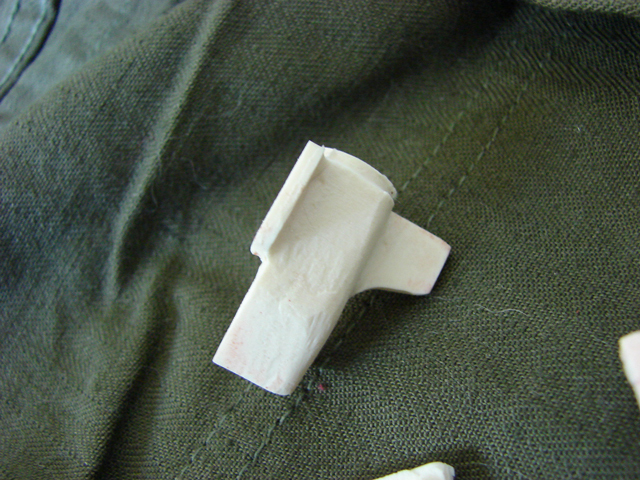 Conversion is designed for the Dragon M2HB plastic kit. Dragon kit is NOT included...$5.50 each. 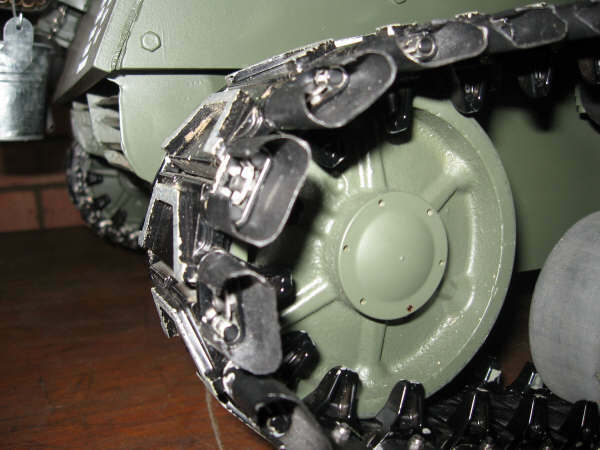 RC Fuyuan / Vantex M4 sherman tank VVSS suspension. This set comes with pre drilled flexible resin detail spring covers, and other resin boggie upgrades....$150.00 each kit. 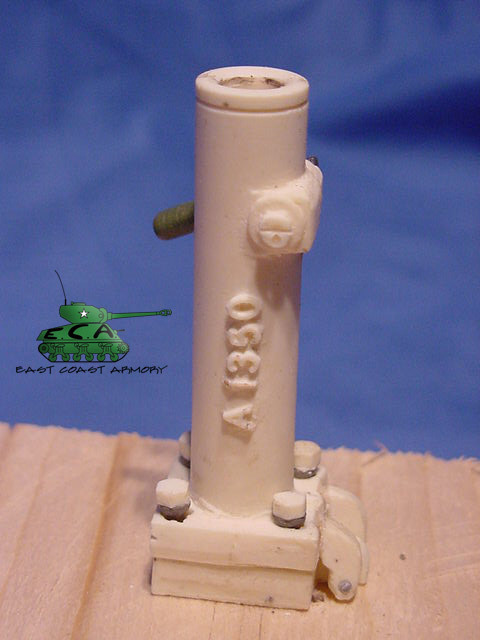 Resin M4 Sherman VVSS bogie detail dress up kit. 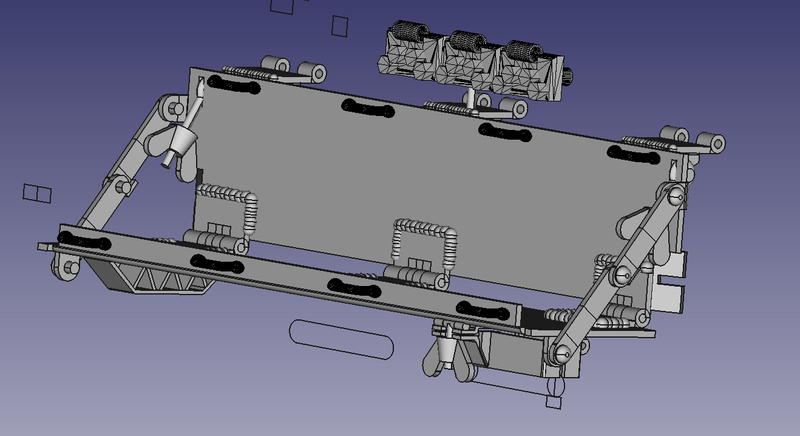 Kit is designed to up detail other manufacturers 1/6th scale VVSS bogies (Plastic Panzers, JD...ect.). If using ECA VVSS suspension kit this upgrade set is not needed. Kit contains enough components to upgrade six VVSS bogies (one complete Sherman tank)....$100.00 each kit. T8E1 recon Stuart functional metal bins set. Set includes two functional bins....$150.00 each set. Resin M26 family head light posts set, set includes two head lights posts. Head light and brush guards not included...$6.50 each set. Resin early M26 (T26E3) exhaust manifold / main gun travel lock cluster kit. Kit includes enough components to assemble one complete exhaust / travel lock cluster....$35.00 each kit. 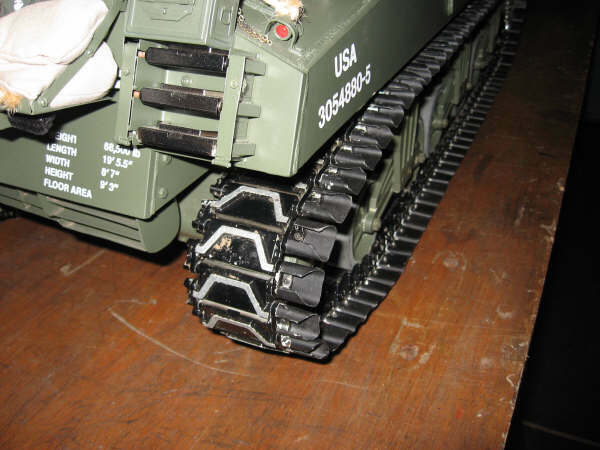 Resin US AFV track connector jack set. Set includes enough components to assemble two jacks...$25.00 each set. 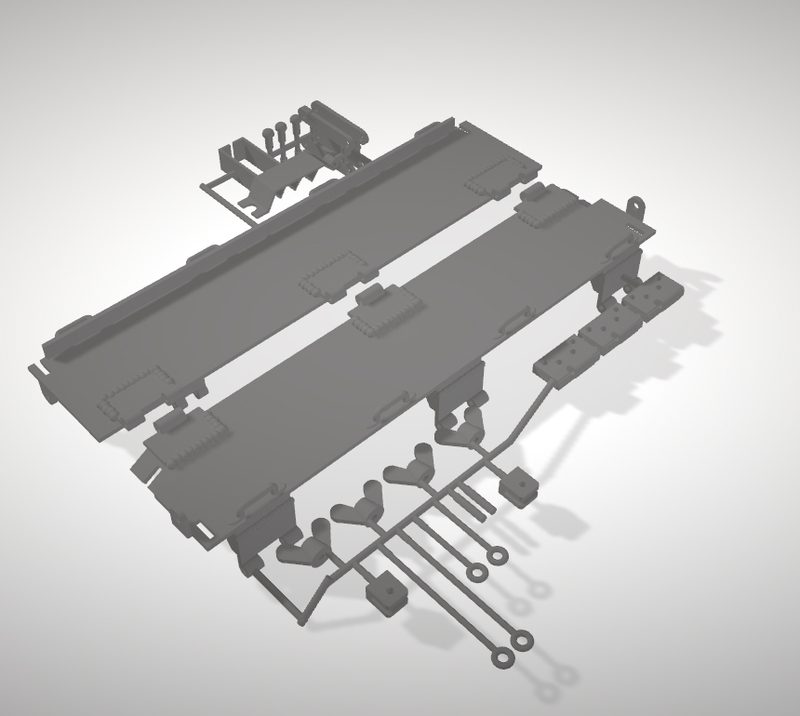 Resin T80E1 track links complete set. Set will work on M26 Pershing, M46 Patton, M47 Patton, T-28 supper heavy tank, and T-30 supper heavy tank series. Set includes 180 track Links, and pre cut steel shafts...$500.00 complete set. Resin M3 90mm gun double baffle muzzle brake. Muzzle brake will work on M36 / M36B1 Jackson, and M26 Pershing...$25.00 each. Resin 11/54th diameter rivet heads set. Set Includes 85 rivet heads....$9.50 each set. Resin 5/32nd diameter rivet heads set. Set includes 85 rivet heads....$9.50 each set. 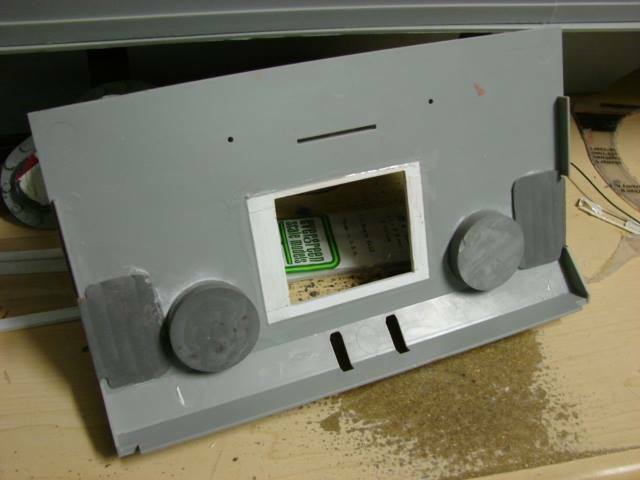 M3 Lee/Grant side hatch door kit. Kit includes enough components for two doors, and two vision ports....$65.00 Each. 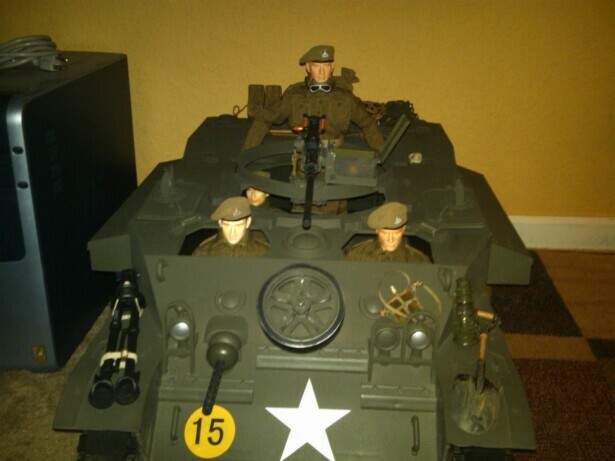 Functional resin M3 Lee/Grant small visor kit. 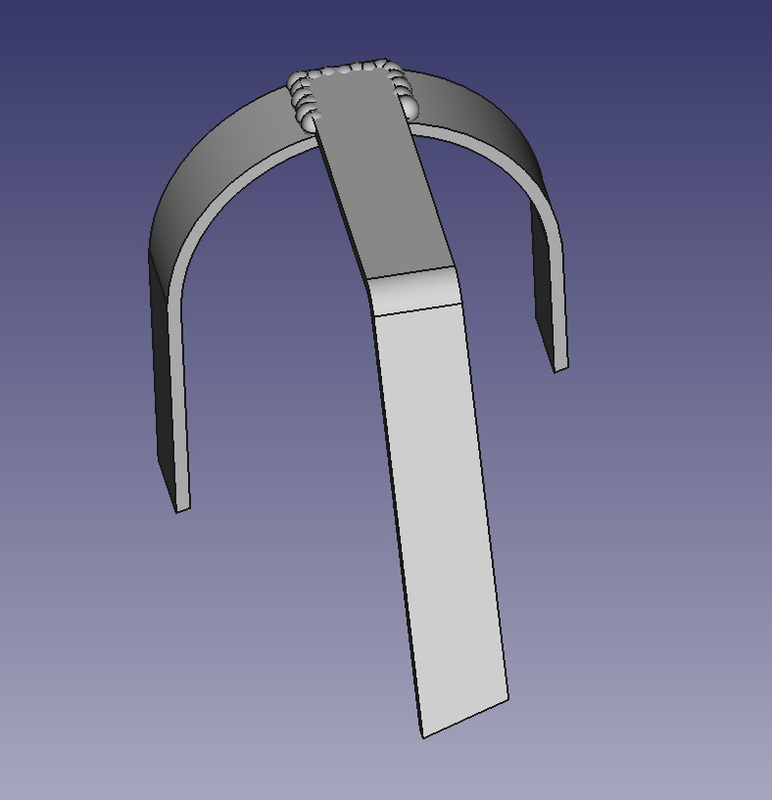 Kit includes enough components to assemble one visor...$9.50 each. 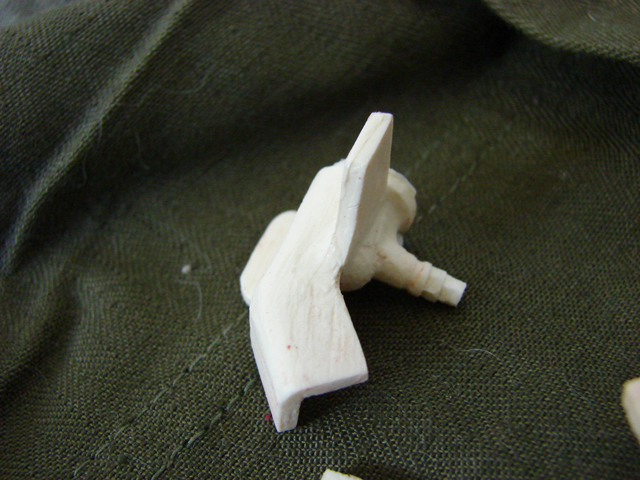 Resin M3 Lee/Grant bow dual 30.cal MG mount kit. Kit includes 1 mount and two 30.cal barrel stubs....$9.50 each kit. Resin and metal M10 3-inch / 76mm ammo racks set. Set includes 2 resin end racks and 2 resin warhead racks (rounds not included)...$12.50 each set. Resin M10 main gun accessory set. Set includes 1 spare periscope box, 4 turret stowage boxes, 1 turret transverse gearbox with hand wheel, 2 turret vise locks, 1 main gun vertical travel lock with mount, and 1 turret elevation threaded rod with mount.....$30.00 each set. Resin M10/ M36 Jackson hull and turret pre welded hard point set. Set includes 40 mounts with 40 bolts and washers....$50.00 each set. 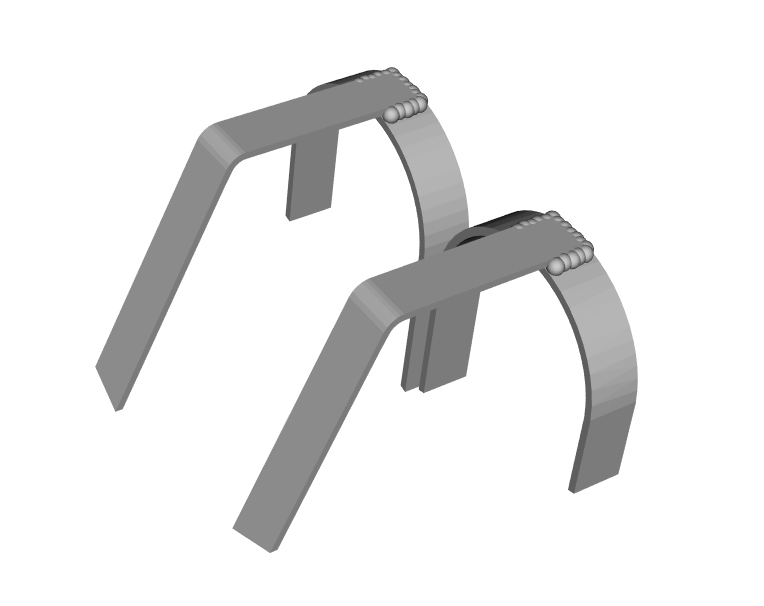 Metal folding M10 / M36 Jackson front fenders set...$250 each set. 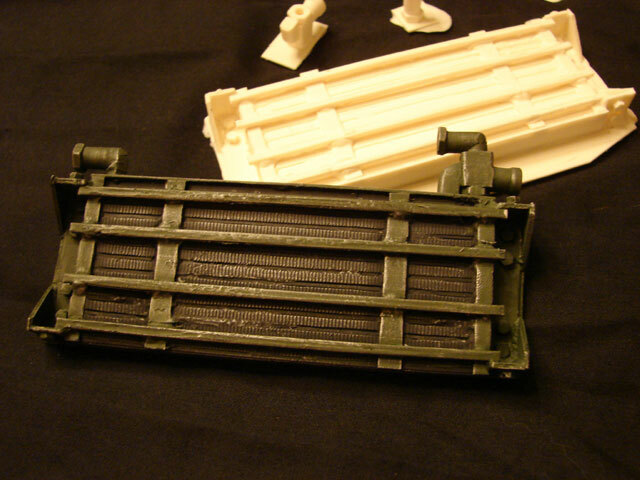 Resin M4 Sherman rear deck armored engine air intake set. 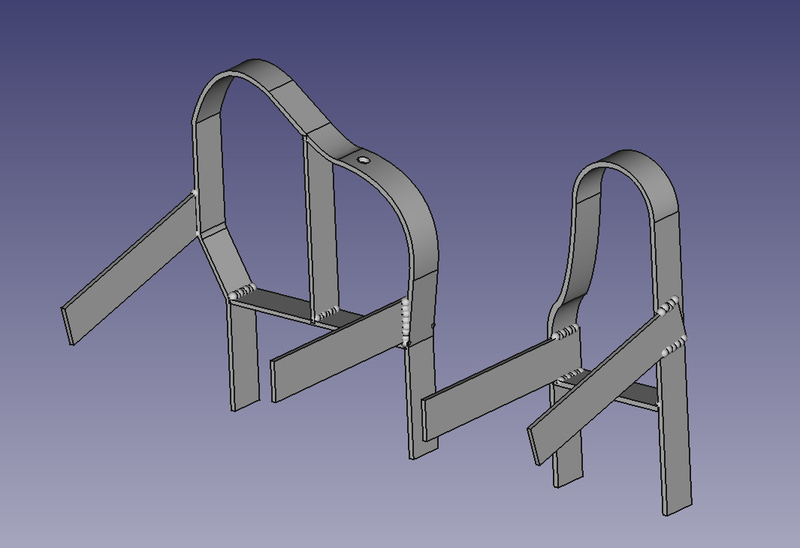 Set includes air intakes, mesh, and fasteners.....$20.00 each set. 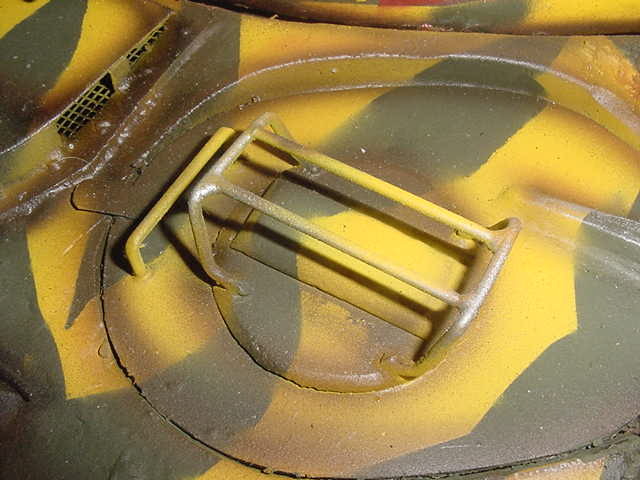 Resin and metal M4 Sherman front hatch quick fix. 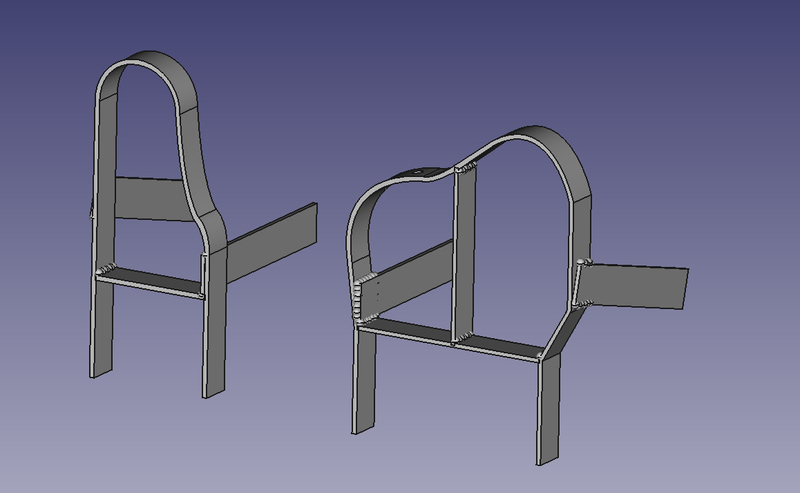 This upgarde is designed for the armortek and viper type sherman tank stock hatches....$25.00 each package. 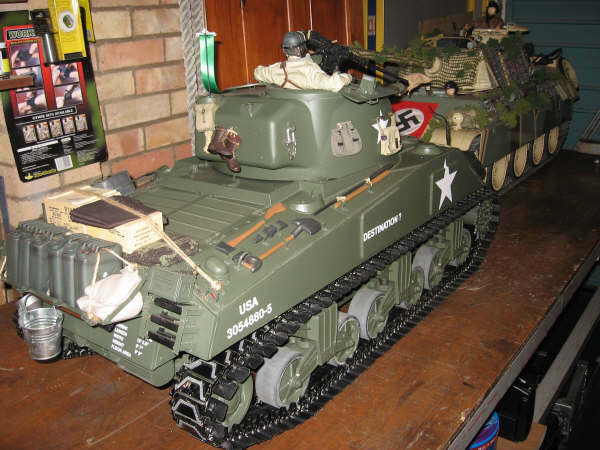 Early M4 Sherman hatch kit. 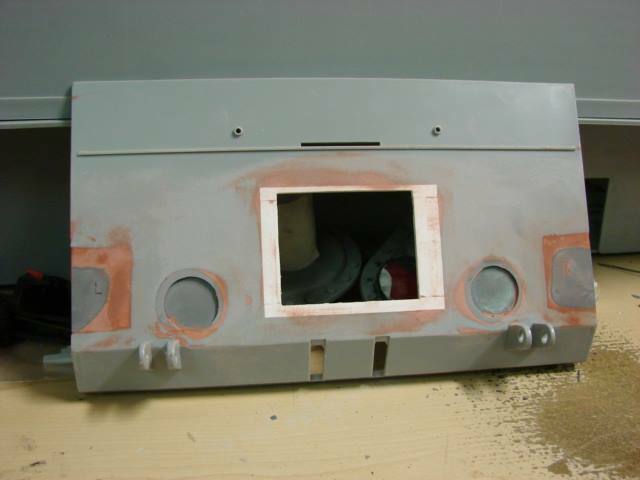 Kit includes two hatches and fittings. Inner Periscopes are not included.....$35.00 each set. Armortek M4 Sherman exhaust upgrade. Email for further details...$65.00 per upgrade. 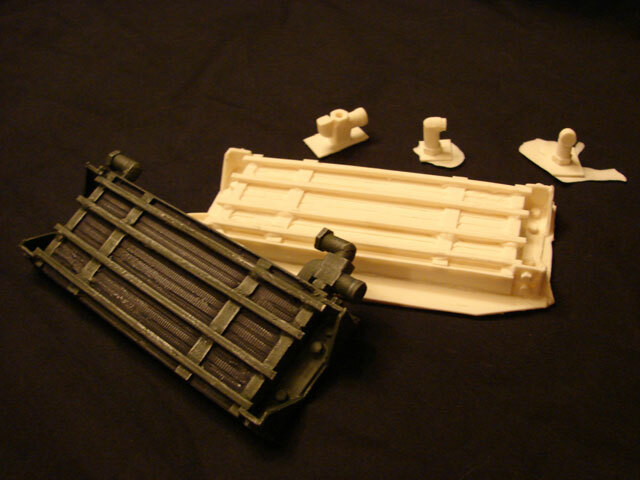 Resin US AFV turret loaders hatch kit, this hatch will work on most US tank including M4 shermans, M26 Pershings, M46 and M47 Pattons. Kit contains enough components to assemble one hatch.....$20.00 each kit. 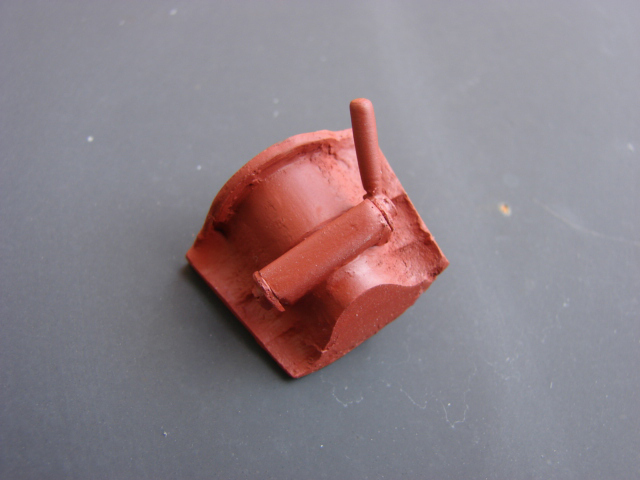 Resin M4 Sherman bow 30.cal canvas mount ring.....$6.50 each. 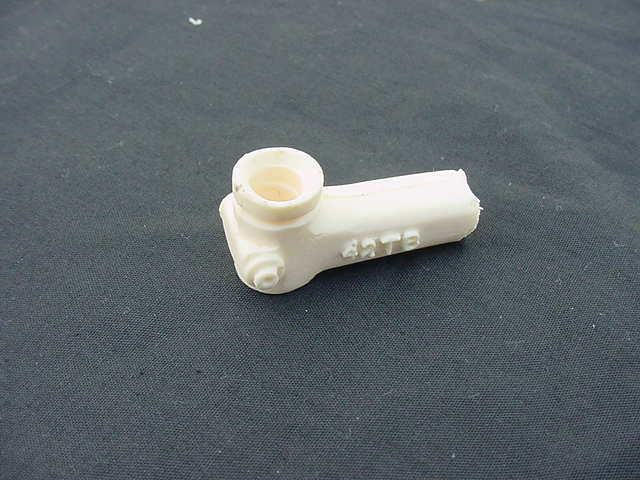 Resin M4 Sherman family transmission accessory set. Set includes 1 resin driveshaft shroud, 2 driver control levers, 1 driver control lever bracket, 1 clutch pedal, 1 clutch pedal bracket, 1 gas pedal, 1 gas pedal bracket, 3 transmission clevises, and 1 control lever floor plate template...$55.00 each set. Viper M4 Sherman idler mount quick fix set. Set includes two resin hex heads and two plastic discs...$5.50 each set. 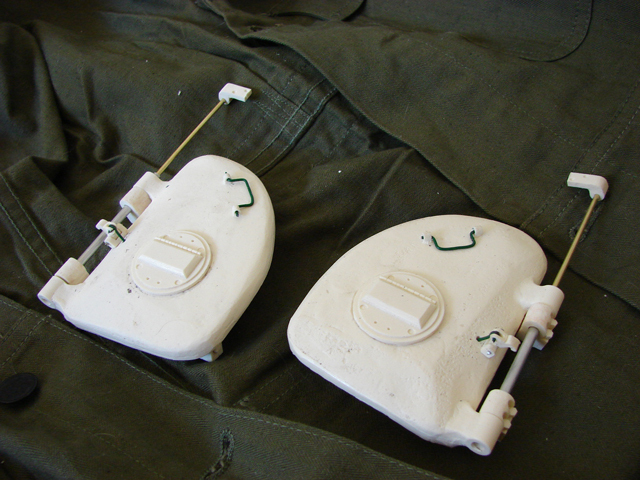 Resin M4 Sherman rear sponson access caps set. Set includes two caps.....$4.50 each set. 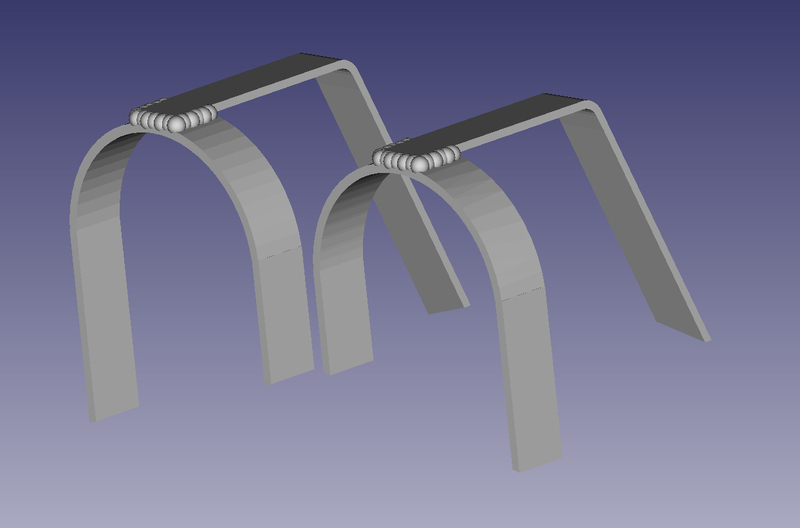 *Note These Extenders will fit the Armortek tracks, but I have no guarantee on how they will perform, or will affect any wear on the tracks. Resin M4 Sherman family reclining seat kit. Kit includes components for two seats and seat mounts. Resin and wood US AFV tool set. Set includes 1 Resin Sledge with non treated wooden handle, 1 resin axe with non treated wooded handle, resin bogie wrench, and 1 resin pick axe head, with wooden handle.....$25.00 each set.